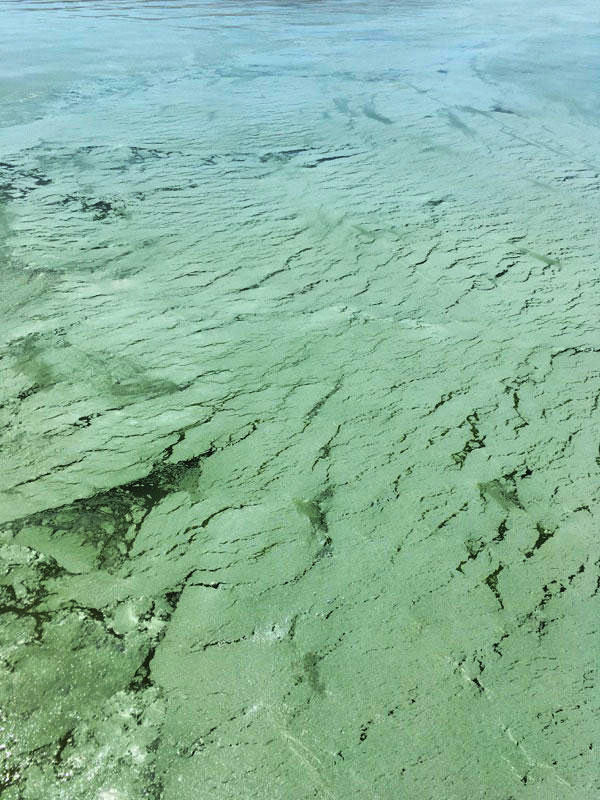 The harmful algal bloom at the Swede Access of Provo Bay on June 11. Cyanobacteria concentrations triggered an advisory that remains in place. They might be in space, but satellites can "see" the chemical fingerprint of cyanobacteria in the water. The images they beam back are a red flag for people like Ben Holcomb, who heads up the program for harmful algal blooms at the Utah Division of Water Quality. 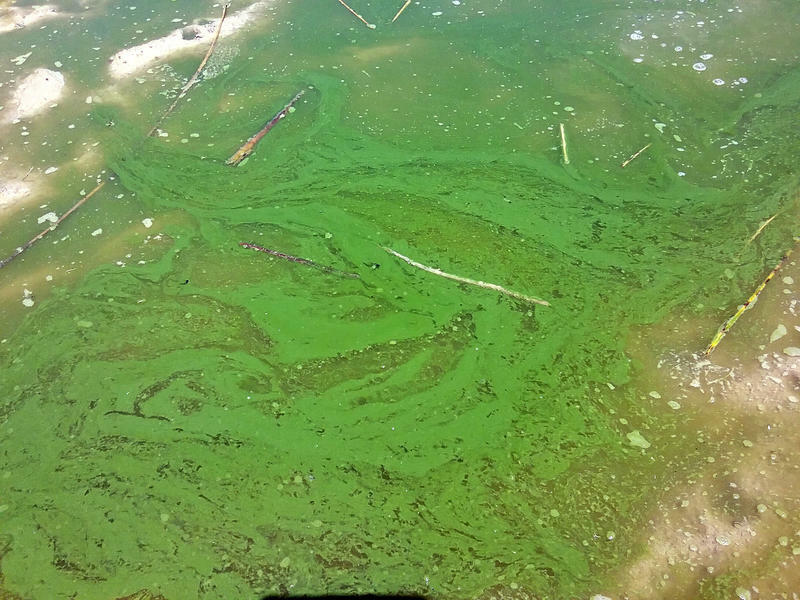 Satellite data helped provide these maps of the cyanobacteria bloom last year in Utah Lake. The images help environmental and health officials determine the location of harmful algal blooms and toxin concentrations. “We can see where in that water body and what the magnitude is of that particular bloom and what the extent of that bloom is as well,” said Holcomb. Cyanobacteria produce toxins that are dangerous for people and animals. A toxin hotspot in Utah Lake in 2014 is blamed for the death of a Labrador retriever. Harmful algal blooms occur when toxic bacteria grows out of control in water where concentrations of fertilizer and other pollutants get too high and too warm. Over the past two years, four federal agencies have teamed up to create the early-warning system. The Environmental Protection Agency, NASA the National Oceanographic and Atmospheric Administration and the U.S. Geological Survey are providing data sets being used in Utah and eight other states. Holcomb’s team used to have to guess where blooms might be forming. The multi-color maps from the satellites eliminate lots of the guesswork and flag trouble spots. “For us it’s mostly the speed, the quickness of alerting us where these are,” said Holcomb. After narrowing down a location with the help of satellite images, his team samples the water and tests it to double-check the projections. Harmful algal blooms caught the attention of state lawmakers earlier this year. For the first time, they’ve appropriated money to step up monitoring. The water-quality division has $178,000 to spend through next June. At Utah Lake, the warning signs are still up at Lincoln Marina, Provo Bay, Sandy Beach and Utah Lake State Park. The only other area in Utah with a current warning is Scofield Reservoir. Aislynn Tolman-Hill, spokeswoman for the Utah County Department of Health, said Utah Lake visitors should heed the posters at their favorite beaches and boat launches. But she advised anyone on or near the water to be on the lookout for signs of harmful algal blooms wherever they go. 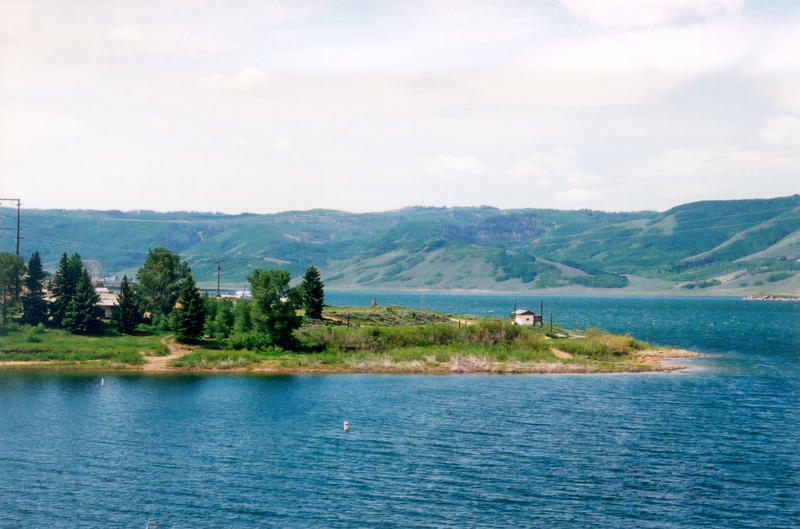 The Utah Division of Water Quality has issued a health advisory at Scofield Reservoir west of Price due to growing algal blooms. With the closure of Utah Lake just last week due to a toxic algal bloom, the Utah Department of Environmental Quality is expanding warnings now to include the Jordan River and lower Cottonwood Creek. Seventy-five-thousand dollars. That’s the sum the state paid for two week’s worth of testing at Utah Lake during the height of last month’s cyanobacteria outbreak. July’s heat combined with pollution from runoff and sewer plants created a poisonous stew of toxic bacteria and thick mats of green sludge. Health and environment officials fielded hundreds of calls.